One of my favorite aspects of visiting Italy in the Summer and Fall months is the abundance of festivals scattered throughout the country. In Calabria alone, for example, the summer months include food festivals focused on bread, salt cod, wild boar, eggplant, red chiles, potato, etc. Northern Italy is no different and the Piedmonte and Umbria regions include various festivals including multiple feasts celebrating the truffle (tartufi) during the Fall months. 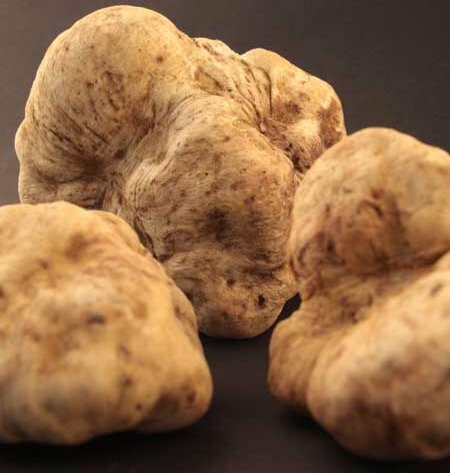 Truffles are highly prized in the culinary world and given their price point, especially the rarer white truffle, most home cooks are priced out of this wonderful delicacy. Truffles, like the closely associated mushroom, have an elaborate root system, however truffles never grow above surface. Truffles usually grow near trees and in Italy oak, willow and linden trees are popular species that support truffle production (with each tree imparting a different flavor to a given truffle variety). Eight distinct truffle varieties grow in Italy and they are harvested from late summer to early spring. The truffle harvesting process is mostly done via individual hunters with either a trained pig or dog. The truffle hunting culture in Italy is very secretive and each hunter is careful not to reveal their best truffle locations. The white truffle is the most prized and flavorful variety and is always served raw and added to eggs, risotto, or salads. The black truffle is more abundant and is often used during the cooking process, including sauces and toppings for bruschetta. I recently had the opportunity to sample some excellent truffle products from New York based Alma Gourmet. Alma has been supplying top restaurants and gourmet shops for years and they started their business like many successful enterprises, that is, very small and selling imported specialty products from Italy directly out of their van! 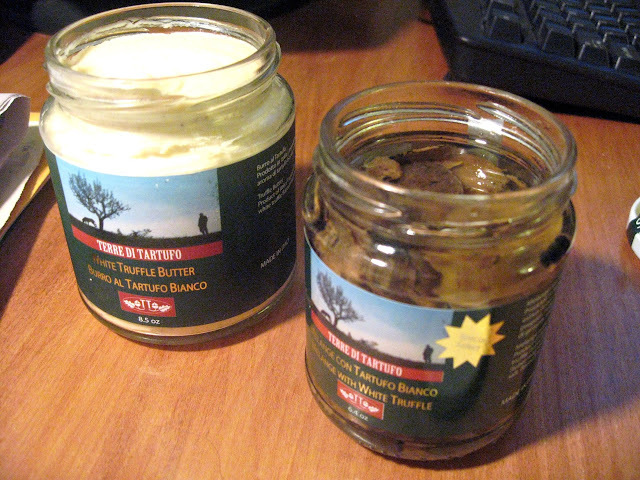 The first product we sampled was a white truffle mixed carpaccio. The truffle carpaccio is actually a combination of white and black truffles that are sliced thin and preserved in sunflower seed oil (along with a bit of salt). I used the carpacio to finish a dish of pasta alio and olio and it elevated the dish to another level. I also topped a few pieces of toasted bread from Sullivan Street bakery with the accompanying oil and truffles and it made for a great lazy weekend lunch, along with a glass of Grenache and some aged sheep’s milk cheese. The second, truffle based product we tried included a white truffle butter made with black, summer, truffles and milk cream. We tried the truffle butter in a modifiled alfredo dish that included a bit of cream, melted truffle butter, freshly ground pepper, and lots of grated grana padana. The truffle butter would also work well on bruschetta. 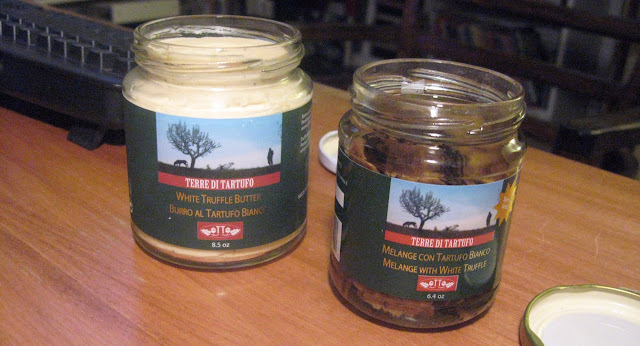 Available via: White Truffle Mixed Carpaccio, Alma Gourmet, 6.4 oz $46.00 and White Truffle Butter, Alma Gourmet, $31.90.